congratulations! i'm becoming a father too, on 1th of august! enjoy! original of the species! 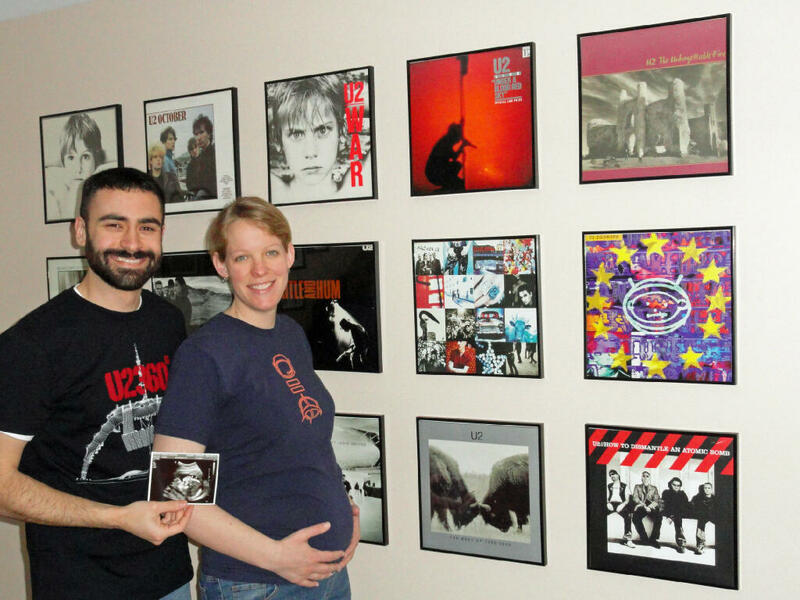 U2 albums on the wall how cool is that? Now that is something to look at isn't it.